Bobbie's miserly uncle Massy stands between him and happiness: he will not relinquish the ten thousand a year on which Nancy's hopes rest. When Bobbie falls under the sway of the roguish Nosey Ruslin, the stage is set for murder in the heart of Piccadilly--and for Nancy's dreams to be realised. This good-natured vintage mystery novel is now republished for the first time since the 1930s, with an introduction by the award-winning crime writer Martin Edwards, the leading expert on inter-war detective fiction. 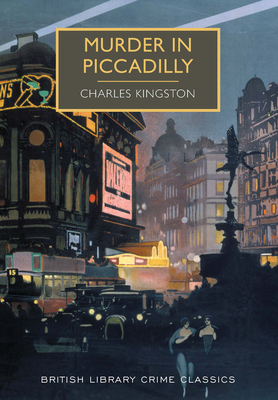 CHARLES KINGSTON (1884-1944) wrote over twenty crime novels in the golden age of British crime fiction between the two world wars. Many of his books--including Poison in Kensington and The Highgate Mystery--are set in London.